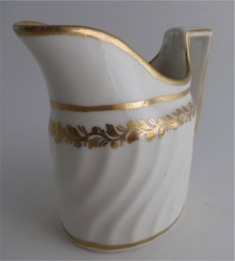 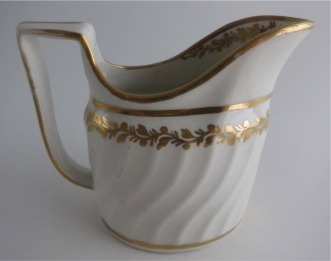 A most elegant Coalport oval shaped milk jug, with spiral shanked moulded body with an angular loop handle. 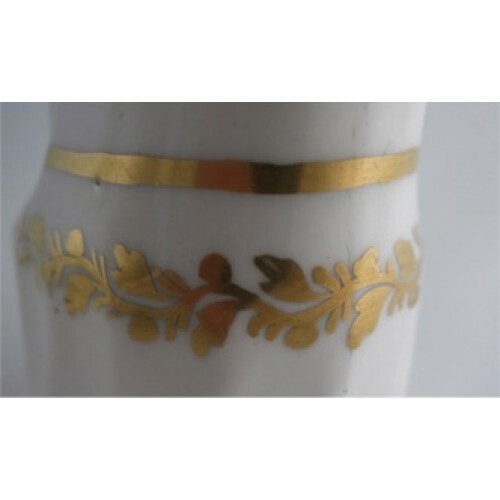 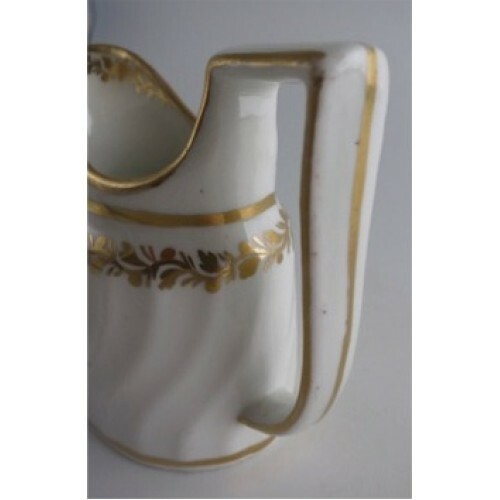 This beautiful jug is decorated with rich honey coloured gilding, this comprising a delicate garland of foliage around the upper shoulder of the jug and to the inner pouring lip. 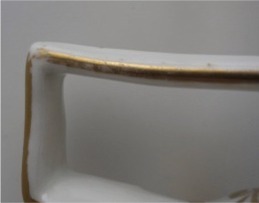 In addition there are thickly gilded lines, one around the foot, the upper shoulder and very top rim and the sides and back of the handle. 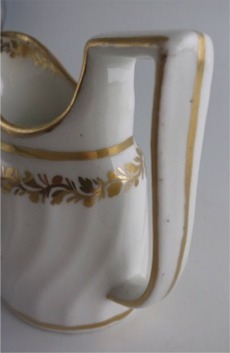 This jug dates from c1800. 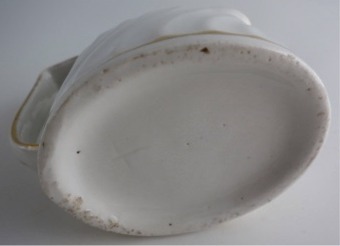 There is a faint impressed cross 'tally mark' on the base but there is no manufacturer's mark. 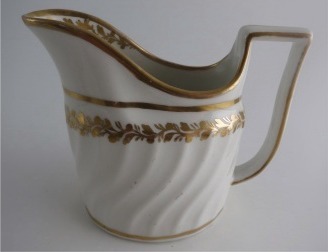 However this is a jug from the John Rose Coalport factory c1800. 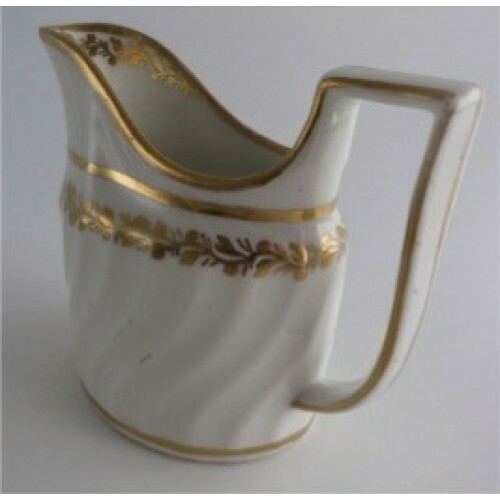 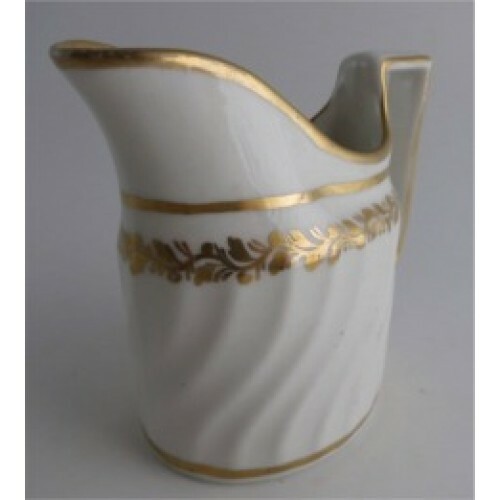 This delightful milk jug is in excellent condition with no chips, cracks, repairs or restoration. 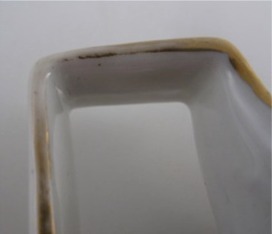 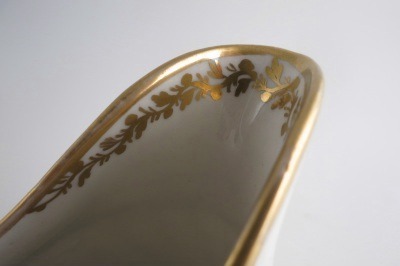 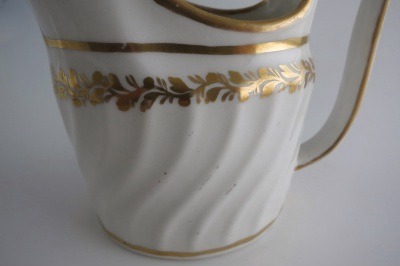 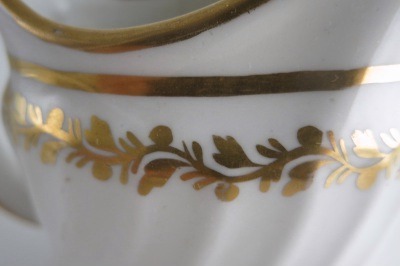 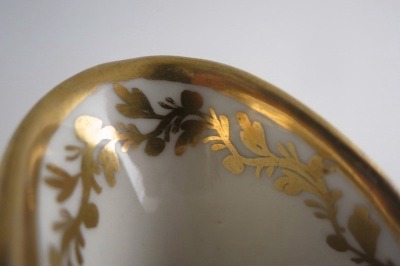 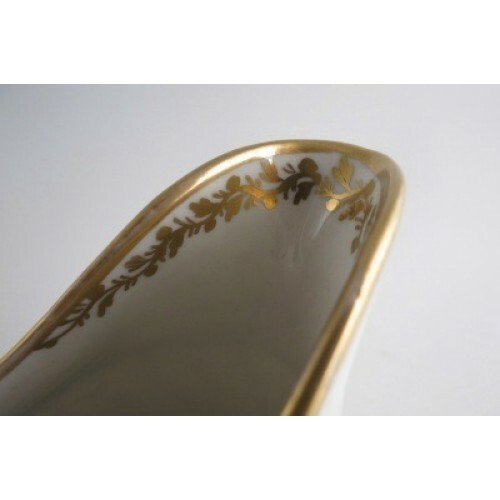 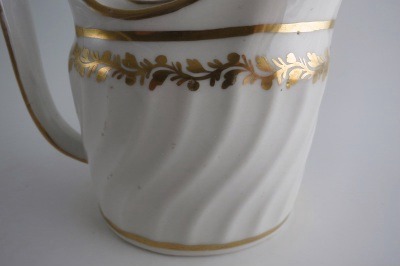 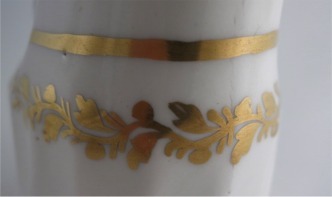 The only very minor imperfection is a slight wear to the gilding on the sides of the handle, this is where the jug has been handled over the many years of its life. 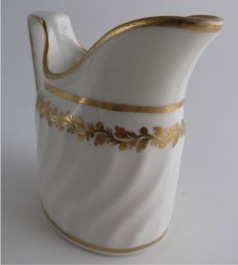 A delightful Coalport Jug. 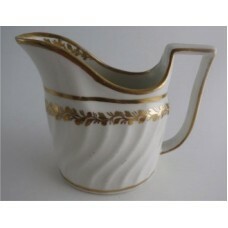 Description A most elegant Coalport oval shaped milk jug, with spiral shanked moulded body with an angular loop handle. 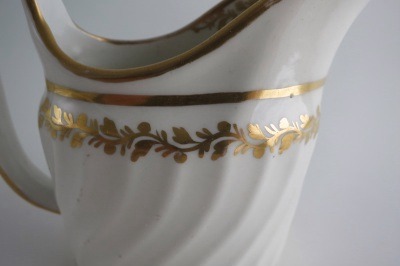 This beautiful jug is decorated with rich honey coloured gilding, this comprising a delicate garland of foliage around the upper shoulder of the jug and to the inner pouring lip. 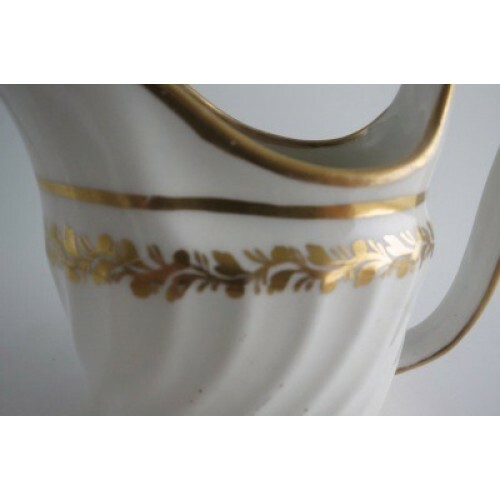 In addition there are thickly gilded lines, one around the foot, the upper shoulder and very top rim and the sides and back of the handle. 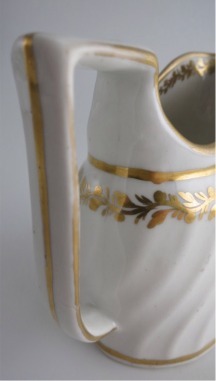 This jug dates from c1800. 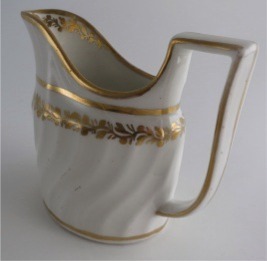 Condition (See main description for full details and pictures) This delightful milk jug is in excellent condition with no chips, cracks, repairs or restoration. 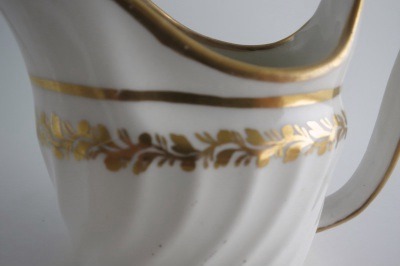 The only very minor imperfection is a slight wear to the gilding on the sides of the handle, this is where the jug has been handled over the many years of its life. 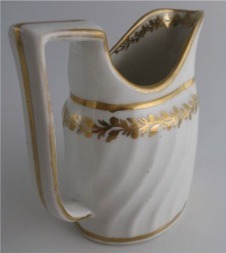 A delightful Coalport Jug.